Megastars Bernie Mac, left, and Isaac Hayes, right, both died this past weekend. Mac died on Saturday, August 8 and Hayes on Sunday, August 9. America was shocked to hear about the sudden death of Mac but then the next day another unbelieveable shock occurred with the unexpected death of Hayes. Bernie Mac was 50 and Isaac Hayes was 65. 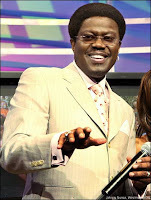 Bernie Mac was best known for his roles in hit films such as "Original Kings of Comedy," "Charlie's Angels" and "Ocean's Eleven. Bernie Mac will star in the Bob and Harvey Weinstein studio (The Weinstein Company) film "Soul Men" in November with Samuel L. Jackson and, ironically, Isaac Hayes. Mac died of complications due to pneumonia and had been hospitalized for about a week with the lung disorder sarcoidosis. 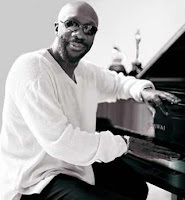 Isaac Hayes was found dead in Memphis from a massive stroke. It is being reported that he had a mild stroke a few years earlier. He was found in his home unconscious next to a treadmill, and no foul play is suspected. Isaac Hayes played Chef in the controversial animated television show "South Park." He left the show when his Scientology religion was mocked in episodes. In his early career Hayes wrote hits for Sam & Dave, Carla Thomas, Johnnie Taylor, Otis Redding, the Bar-Kays, Rufus, Booker T & The MGs and more. In 1969, he released the album HOT BUTTERED SOUL, his breakthrough album. Then in 1970 he released SHAFT, soundtrack to the movie of the same title, which won an Oscar for Best Musical Score, the first black composer to do so. SHAFT also earned him Grammys, a Golden Globe, and the NAACP Image Award. The film "Soul Men" is the story of two estranged soul legends (Jackson and Mac) who reunite at the Apollo Theater to honor their recently deceased band leader.